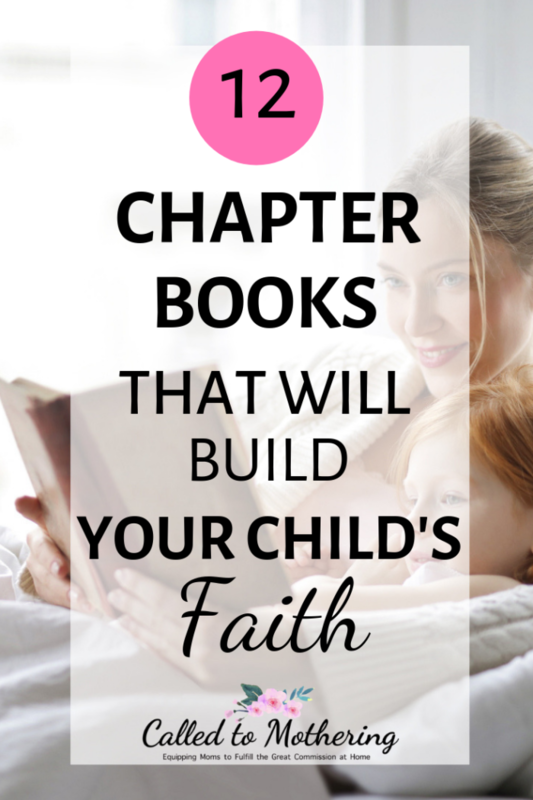 From the very beginning, I’ve tried to instill a love of reading in my children. I read books to them all the time when they were babies, toddlers and preschoolers. Some of my best memories are of snuggling up with them on the living room couch with a funny picture book or classic tale. I’m so thrilled that both of them now enjoy reading on their own. With this new stage they’re in, however, it has been somewhat challenging to direct them towards good, wholesome books that fill their mind while shaping their character. 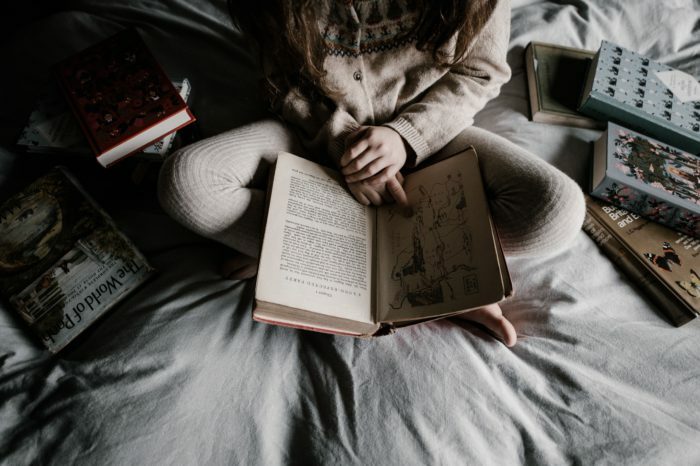 Many books aimed at elementary aged children and tweens are either just plain twaddle, or full of magical fantasy, ghosts and horror. In this simplified version of John Bunyan’s Pilgrim’s Progress adapted for younger readers, a young boy faces many pitfalls on his journey towards the Celestial City. It’s both a simple adventure story and profound allegory of the Christian journey through life, with a message kids ages 6 to 12 can understand and remember. This was one of my son’s favorites this past summer! These engaging biographies of famous Christians who used their talents for God’s glory will inspire your children to want to do the same. Christian legends and unsung heroes like Helen Roseveare, Samuel Morse, Anne Lawson and C.S. Lewis all become like friends they can understand and look up to. In a world where role models of real integrity are few and far between, the Light Keepers series fills the gap! Each of the five books in the girls’ and boys’ box set include devotional thoughts, prayers and quizzes. Geared for 6-9 year olds, this time-travel adventure series helps children discover the Bible. Siblings Peter, Mary and Hank go back in time to key biblical events after finding a powerful scroll and need to unlock its mysteries before getting trapped in history forever. These chapter books are a good way to give context to Bible stories and discuss Creation Science! My nine-year-old son devoured the first two books in this series, and he can’t wait to start on the third! Priscilla Shirer’s epic trilogy brings the invisible struggle ensuing in the spiritual realm to life, when two brothers and their friends enter a mysterious land called Ahoratos. There they meet their guide, Ruwach, who offers wisdom and direction as the kids’ initial adventure begins— an adventure filled with armor and danger and a very real enemy. Your kids will be transported back to 10th Century Norway and join adventurous children battling to trust God under difficult circumstances. In the story, Bree and her brother Devin are captured from their home in Ireland by Viking raiders and after the young Viking prince Mikkel sets Devin free on the Irish coast, the siblings embark on separate journeys to courage. This is historical fiction at its best: gripping, well-researched and spiritually solid, with equal appeal to boys and girls. My kids have been greatly inspired by this series about ordinary people who sacrificed comfort and convenience to spread the Gospel. There are so many celebrities, singers, sports stars, or philanthropists that my children could look up to, but these are the kind of men and women I want them to call their heroes. Your kids will be encouraged to follow the examples of role models such as Amy Carmichael, Eric Liddell and Corrie ten Boom, and accomplish great things for the Kingdom of God! I loved this series when I was a child, and I’m thrilled to share them now with my kids. Epic battles of good versus evil are beautifully told in C. S. Lewis’ classic allegory of the Christian life. Four adventurous siblings— Peter, Susan, Edmund and Lucy— step through a wardrobe door and into the land of Narnia, a land frozen in eternal winter and enslaved by the power of the White Witch. But when almost all hope is lost, the return of the Great Lion, Aslan, signals a great change… and a great sacrifice. This eight-volume series of incredible adventures and encounters with a biblical perspective won’t disappoint! Teenagers Jay and Lila Cooper accompany their archaeologist father as they search to uncover the truth behind ancient legends. With the truth of God and His Word, they aren’t afraid to delve into mysterious things like the Dragon’s Throat cavern to find out what lays on the other side. Join Jason and Andy as they try to solve the mysterious happenings on the Nelson family’s farm, while learning lessons in obedience and responsibility. There are no murders and other objectionable elements such as boy-girl relationships or questionable language. These books are recommended for ages 9-13, but depending on reading level and maturity can be read by slightly younger readers. Set in the South in the mid-to-late 1800s, these books for 10 to 14-year-old girls tell the story of the life and spiritual commitment of Elsie Dinsmore, a charming young heroine. Elsie’s Christian faith, hope and purity guide her as she grows from childhood to adulthood in this collection that rivals Little Women. The mysterious adventures, hilarious antics and fun-filled exploits of the 9 boys and girls who live on Blossom Hill Lane contain valuable lessons about relationships, kindness, honesty, courage, keeping promises and the fruit of the Spirit. This series is great for 7 to 10-year-olds to read on their own and learn how to rely on Jesus! Chuck Black gives kids a biblical worldview along with swords and the cosmic battle between good and evil in this allegorical Bible based fiction. The 6 books in this collection will get preteens excited about the significant role of Jesus Christ in history and His mission to save mankind. Best of all, there are good end of chapter questions to spark some great conversations with your child!